FLAMINUS. May these add to the number that may scald thee. Thou disease of a friend, and not himself. Unto this hour has my lord’s meat in him. When he is turned to poison? These lines once again plunge us into the prevailing trope of the body as it is seen from the inside-out, conjuring up the image of meat turning to poison within the stomach while “prolonging the hour” of the victim. Throwing the coins back at Lucullus, Flaminus vows that they “scald” their lord as “molten coin.” The invocation of infernal heat, combined with Flaminus’ epithet for Lucullus (“Thou disease of a friend”) recalls the favored early modern treatment for syphilis– hot water tubs and thermal soaks. A certain “A.T., practitioner in physicke,” prescribes molten allum, strained through a “coulender, or else thorough some course linnen cloth, and put yt into a Gallypot or Glasse” as a remedy for sores or bruises. Lucullus, in Flaminus’ eyes, is no better than a walking infestation of the pox. At this point Flaminus’ description takes a peculiar turn. Rather than curse Lucullus’ life, Flaminus expresses his desire for a sort of living death. In a moment which exemplifies many early modern attitudes toward disease, the servant wishes contamination upon the contaminator, desiring for the meat to turn sour within the lord’s stomach. The curse, paradoxically, turns the concept of a “cure” on its head, given that Renaissance remedies often often incorporated potentially dangerous components with a “fight fire with fire” mindset. Common recipes for treacle, for example, traditionally contained viper flesh as a primary ingredient in the hopes that its poisonous properties would counter the poison of any infectious agent. As it stands, any diseased meat would serve to partially combat the lord’s inherent sickness, though it would not cure him completely. Flaminus’ words thus condemn Lucullus to a life of extended misery as if two infectious vipers were to forever battle within his body. 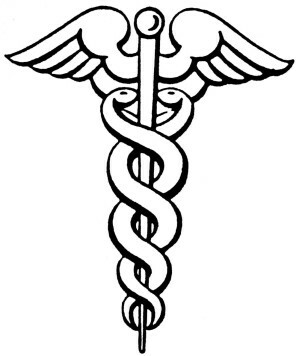 A caduceus, commonly mistaken as a “medical symbol.” In reality it is debatable whether the symbol was used before the 19th century within a medical context. “Fioravanti believed that the cause of Italy’s moral and political decline was an internal pollution that began in the courts and spread outward to contaminate the entire commonwealth. Just as the ‘bad quality of the stomach’ spreads its contagion to all the body’s organs, so corrupt rulers and their fawning courtiers ruined the whole body politic” (20). The fluid ease with which Fioravanti transitions between discussions of the body physical and the larger, more dynamic political body is unsurprising to the reader accustomed to blurring between medical and social contexts typical of the era. What is most interesting in this case is the direct link Fioravanti supposes between the consumption of human flesh and the resulting pox-like symptoms– one of the more unique theories of its kind. The text in many ways sheds a different light upon Flaminus’ words, in which he desires diseases to work upon Timon’s meat in Lucullus’ stomach. More than the curse of indigestion, Flaminus’ injunction addresses the offending body politic as a whole, essentially foreshadowing a shared stigma among the lords who had voluntarily “tasted Timon” without regard for reciprocity. Anticipating Timon’s later curse, Flaminus has essentially wished a morbid and painful fate upon all of the gluttonous, and arguably cannibalistic, denizens of Athens. Scene 2 sees Timon wrapping up yet another fantastic dinner affair, the partygoers drunk off of the enormous bounty that their host has seen fit to provide. He is, as usual, at the center of attention, caught up in the flurry of his own self-created storm. The ominous quality of the scene is underscored by this seemingly unstoppable momentum; the true nature of his gift-giving seems born out of compulsion rather than compassion. Timon cannot receive without reciprocating first; the gift “milk-white horses trapped in silver” (183) must be “worthily entertained” with presents in return (184). Similarly, the two brace of greyhounds are not to be received “without fair reward” (191). Jewels, trifles, and more horses are exchanged, until Timon’s steward reaches the point of despair. This rapid-fire exchange of commodities further depersonalizes the lords, who are designated only by the order in which they speak and by the gifts they receive. Not surprisingly, when Timon vows to “call to you” (visit them), the lords respond in unison: “O, none so welcome” (217). So kind to heart, ’tis not enough to give. It is important here not to discount the significance of the word “visitations” in this passage– a term which was fraught with religious and medical significance. 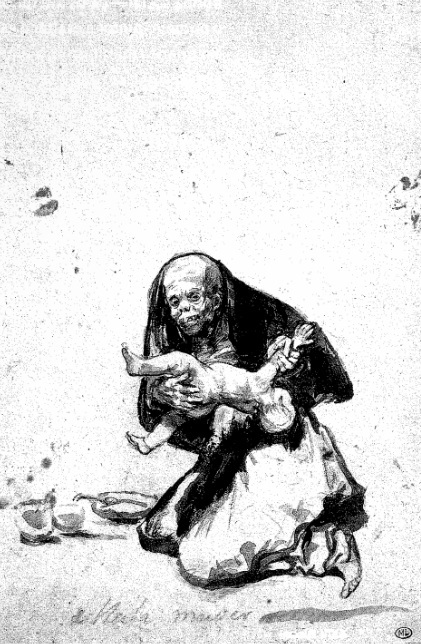 Tracing its way back to the Bible, a “visitation” often was synonymous with a plague epidemic or otherwise supernatural affliction on a massive scale. The plague, too, has historically brought kingdoms to their knees; Timon, however, remains unaware of the inherent irony in his words when he claims that he could “deal kingdoms to my friends / And ne’er be weary.” Perhaps the one “worthy” recipient in this scene of any gift is Alcibiades, the Athenian captain who will later banish himself before returning to the city with his army behind him. It is significant that Alcibiades is included in this fortunate circle of Timon’s; on the other hand, he also remains apart as a named, personalized member of Timon’s fraternity. 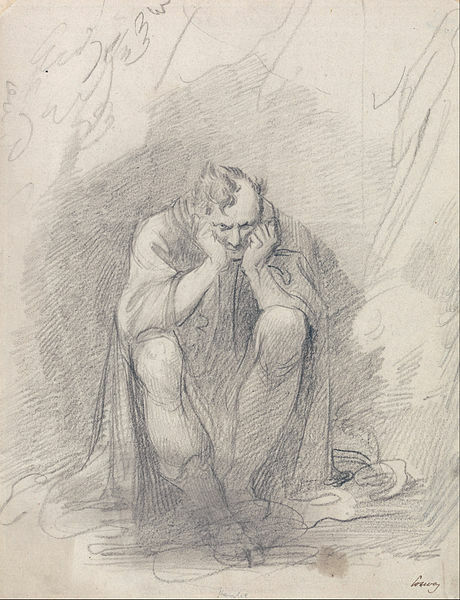 Strikingly, the principle reason for Timon’s charity toward him is not because he is “a solder, [and] therefore seldom rich,” but because “all thy living / Is ‘mongst the dead, and all the lands thou hast / Lie in a pitched field” (223-225). Alcibiades’ insatiable bloodthirst for warfare is tempered only by his loyalty to Timon– the quality which truly separates Alcibiades from the rest of the company. Thus, the captain as well as the lords are figuratively portrayed as necrotizing agents, swiftly devouring the flesh of those around them under the guise of civility and military imperative. They are not, however, one in the same in terms of their “pathology”, so to speak. While the lords operate “internally”– both within Timon’s social circle and within the city itself, Alcibiades’ camp lies beyond the city limits in his “pitched field.” If the lords represent a disease of any sort, it is a disease which deteriorates the body from the inside out. Alcibiades and his army, by contrast, represent an external assailant which is no less ruthless in its destructive capability.